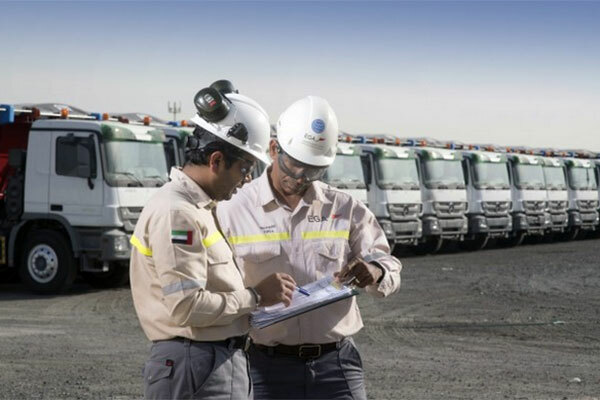 Emirates Global Aluminium has announced the operations of its waste management system, for use at its Al Taweelah alumina refinery, which is now being built. The milestone comes as EGA prepares to begin production at the Al Taweelah alumina refinery during the first half of 2019, reported state news agency Wam. Bauxite residue is a by-product of alumina refining, and EGA’s goal is to responsibly manage its storage and develop potential re-uses. EGA has completed construction of a dedicated storage area for bauxite residue, some 30 kilometres from the Al Taweelah alumina refinery, in the Khalifa Industrial Zone Abu Dhabi. When Al Taweelah alumina refinery begins production, bauxite residue will be rinsed, pressed into a dry cake, and transported to the area for permanent managed storage, using a fleet of sealed trucks. The storage site will be progressively sealed and landscaped, with the land re-used for potential projects, from warehousing to a solar farm. EGA has signed a contract with global waste management company Veolia to manage the transport of bauxite residue, as well as the storage facility. Commenting on the project, Zaher Al Habtari, senior vice president of Refinery Operations at EGA, said, "The responsible management of bauxite residue has been a key priority for the Al Taweelah alumina refinery since the project was on the drawing board, and UAE environmental regulators rightly set tough standards. I am confident that we have a world-class storage solution in place, but our ambitions are much larger, as we aim, in the longer term, to turn this waste into value through innovation." Industry experts estimate that at least 150 million tonnes of bauxite residue are produced worldwide each year. It is thought that less than two percent of this is currently put to productive use. EGA is working with the American University of Sharjah, the University of Queensland and other universities, as well as expert consultancies, to research and develop economic uses for bauxite residue which, if successful, would be a global breakthrough for the aluminium industry. Potential uses being explored include converting bauxite residue with agricultural and domestic wastes into soil for greening, and using bauxite residue to produce bulk construction materials.